The #SPARKSOMEFUN Sea-Doo Test Ride Tour has begun! We’ve kicked off our 33 stop #SPARKSOMEFUN Test Ride Tour and participants are enjoying ripping around on the all-new Sea-Doo Spark! The 2014 #SPARKSOMEFUN Tour will be visiting 33 popular family boating destinations across North America offering consumers the chance to experience how accessible, and fun, the award-winning Sea-Doo Spark watercraft truly is. 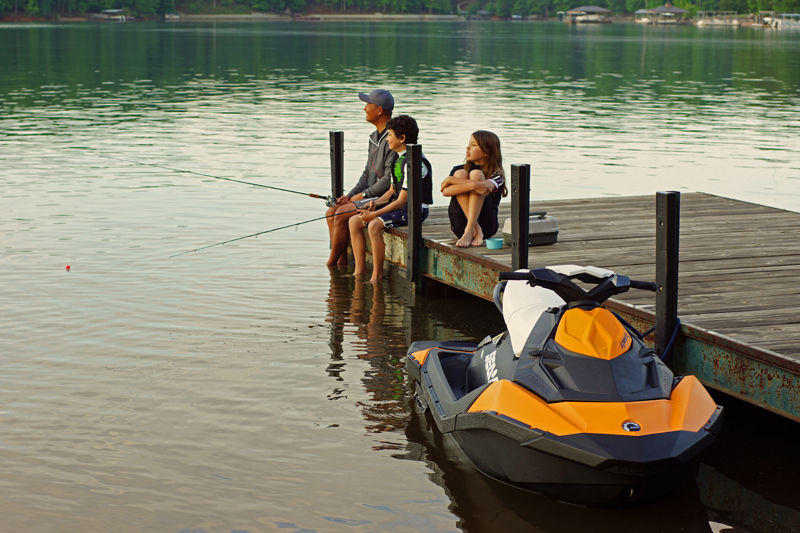 The Sea-Doo #SPARKSOMEFUN Test Ride events are free to the boating public. 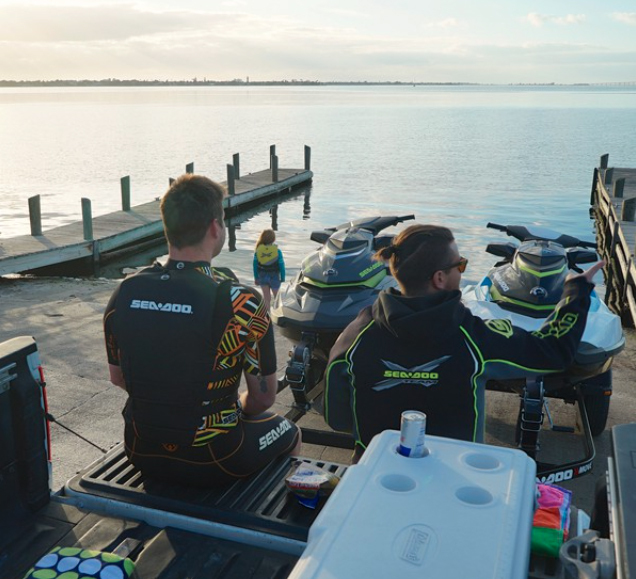 Each Sea-Doo #SPARKSOMEFUN Tour stop is designed for both experienced and first time boating families to experience the Sea-Doo lifestyle in a casual, fun filled atmosphere. Attendees have the opportunity to experience, first hand, the fun the Sea-Doo Spark delivers starting at $4,999 in United States. 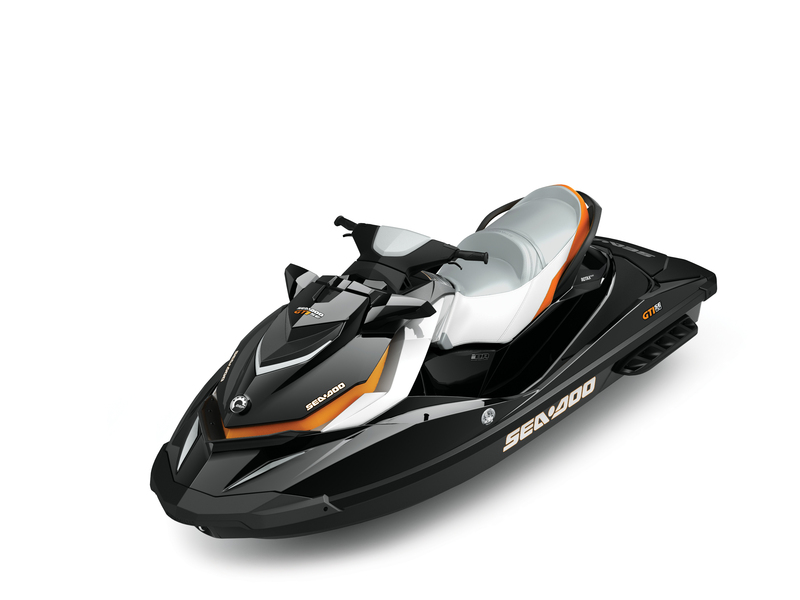 You will also be able to try the full-sized Sea-Doo GTI back-to-back to help you decide on the right Sea-Doo model to fit your watersports needs. 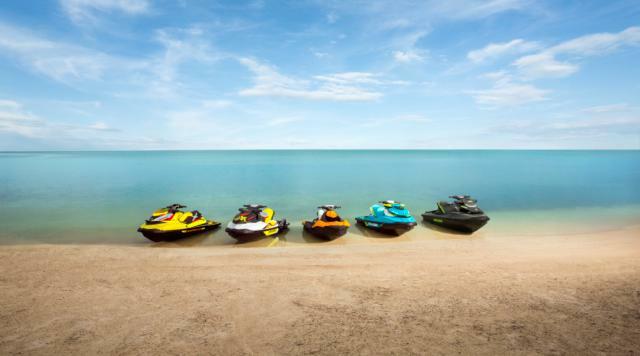 boat, boats, brakes, ibr, icontrol, iTC, jet boats, jet ski, jetskis, on-water brake, performance boats, personal watercraft, pwc, Sea-Doo, sea-doos, seadoo, stopping on the water, suspension, tubing, wake, Wake Boarding, water flume, water rooster, watercraft, waverunner, what does that sea-doo term mean? Impeller? Ergolock? Sponsons? The personal watercraft industry speaks its own language and here at Sea-Doo we also speak our own language. 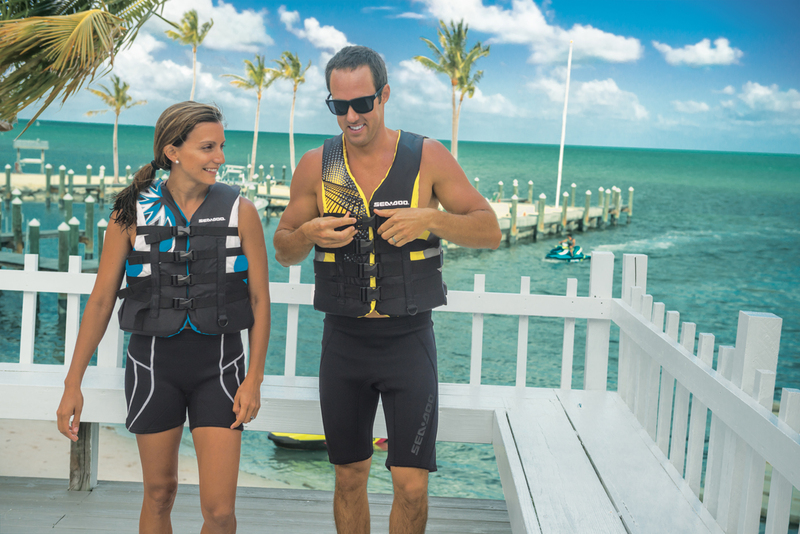 We have distilled some of the most common acronyms and words related to Sea-Doo watercraft so the next time you are wondering, “just what is Sport Mode” you can easily find an answer. Adjustable Rear Sponsons: An efficient design that improves lateral stability. 3-position adjustable for skill level and riding environment: higher for a more playful freeride experience or lower for more aggressive turning. Winglet feature enhances lean angles during turning. aS – Adjustable Suspension: Suspension that utilizes a superior grade high-performance shock made by FOX with full preload and compression manual adjustability. Closed Loop Cooling System (CLCS): Uses coolant to keep a Sea-Doo’s engine running at the ideal temperature, much like a car’s radiator. The CLCS also keeps out corrosive saltwater and debris. D.E.S.S. Digitally Encoded Security System: The Industry’s first digitally encoded theft-deterrent system. This system prevents unauthorized use. 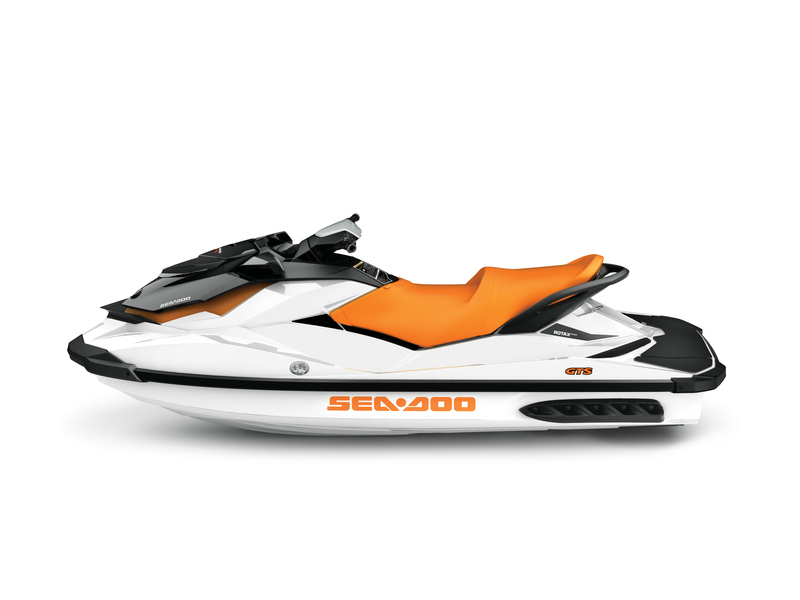 Sea-Doo’s are embedded with a unique microchip that is engaged with the rider’s lanyard. This feature was singled out by the National Insurance Crime Bureau as one of the best theft deterrents available on a personal watercraft. 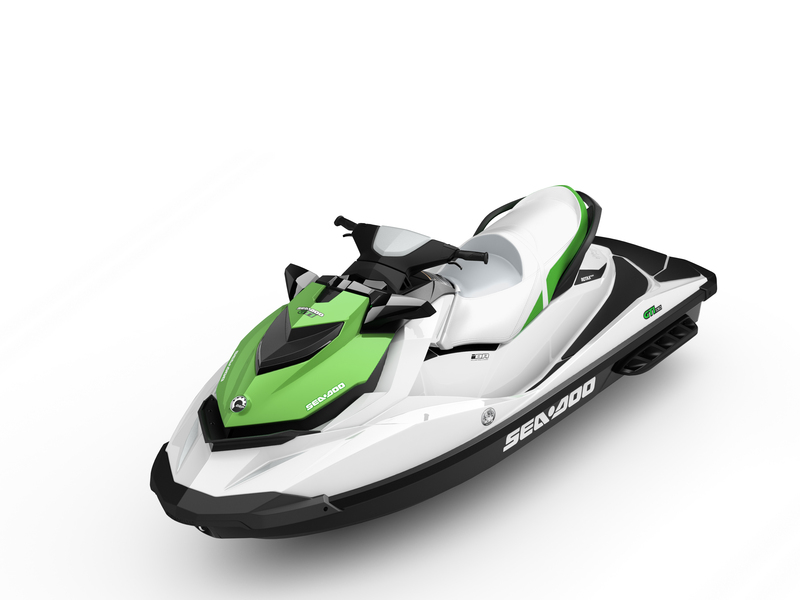 D-Sea-Bel System: This system combines a series of resonators and vibration absorbing components to make Sea-Doo watercraft some of the quietest on the water. ECO mode: The iTC function that automatically determines the most economical power delivery and sets the optimal RPM for greatest fuel economy. Ergolock System: A combination of ergonomic features that allow amazing control while cornering with less upper body fatigue. It features a narrow racing seat with knee grab design, adjustable handlebars and angled footwells that allow riders to “lock” in when cornering hard. This results in faster turns and more time on the water. High Performance VTS (Variable Trim System): Provides pre-set positions for quick settings VTS (Variable Trim System) when adjusting boat trim, maximizes acceleration and high-speed stability. iBR – Intelligent Brake and Reverse: The world’s only on-water braking system. 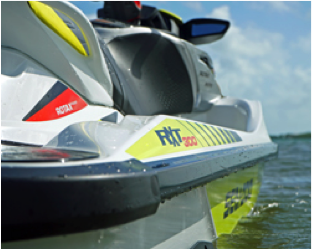 The iBR system lets riders stop up to 100 feet sooner than any other watercraft. All with the squeeze of a lever. And with its electronic reverse, it gives riders a level of maneuverability that makes docking easier. 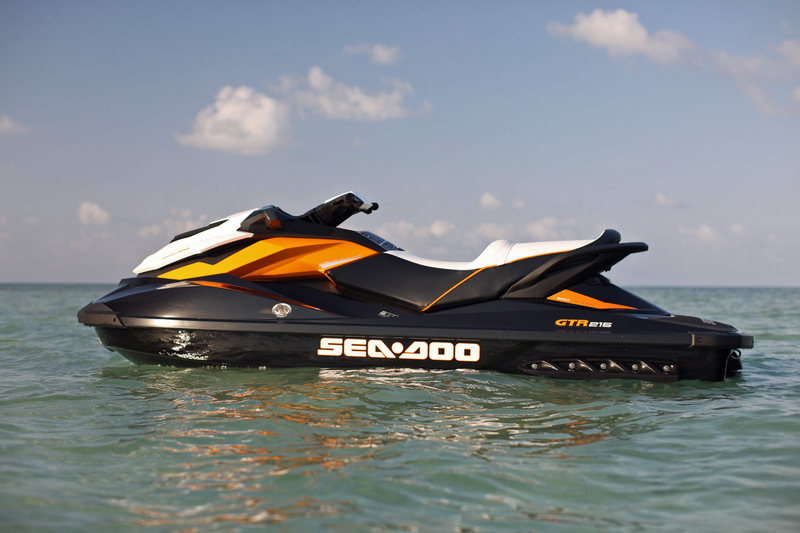 Click here to view a video on Sea-Doo iBR. iControl: The “Brain’’ that integrates and controls all systems to create the best possible ride. iControl includes iBR, iTC and S³. iControl Learning Key: The programmable Learning Key allows riders to limit the performance of the PWC based on skill-level. iS: Intelligent Suspension. 6 inches of adjustable suspension that automatically adapt to isolate the rider from the impact of rough water. Impeller: A rotating component of a centrifugal pump, usually made of iron, steel, bronze, brass, aluminum or plastic, that transfers energy from the motor. 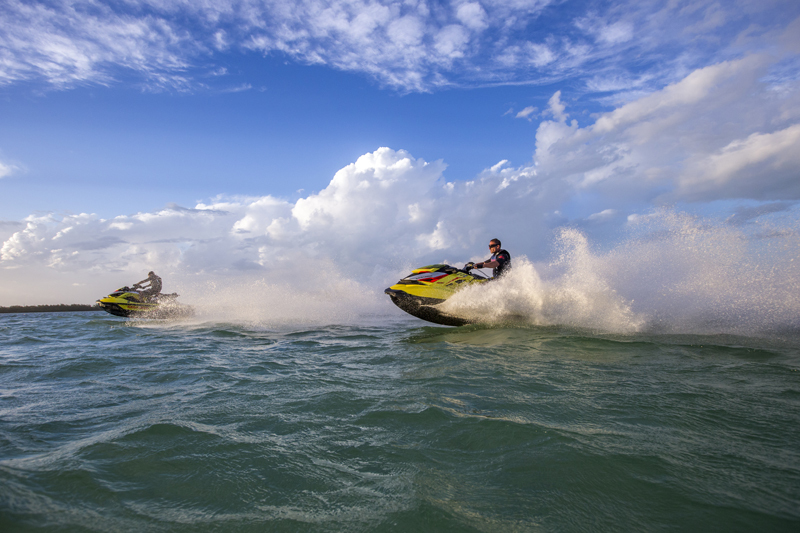 iTC – Intelligent Throttle Control: Sea-Doo’s intuitive Intelligent Throttle Control (iTC) technology. 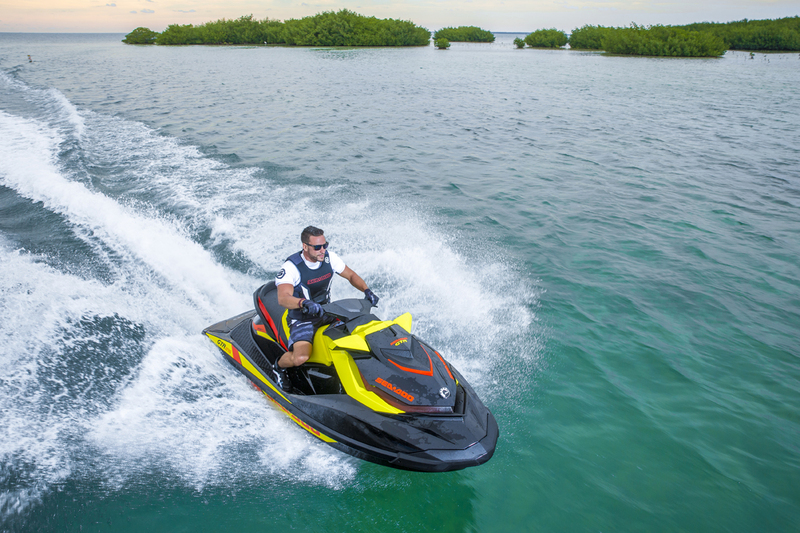 Sea-Doo watercraft are the only watercraft to start in neutral, so the engine runs without propelling the craft forward – giving riders safer dockside starts and easy, stress-free maneuverability. The throttle responds to an electronic signal instead of a cable. This allows more precise engine calibration, resulting in better fuel economy and a lower operating cost. It also features an activity-specific cruise control, Touring/Sport mode and ECO™ mode that can all be set to accommodate riding styles. Naturally Aspirated: The Sea-Doo air intake, like in a car, draws air into the engine that is then mixed with fuel to power the watercraft. In a Naturally Aspirated engine the engine breaths naturally without forced induction. PWC: Personal Watercraft. 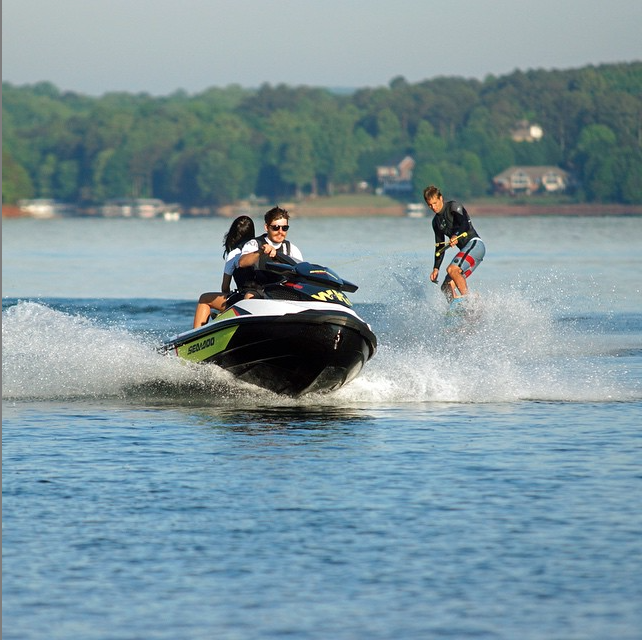 A PWC is a recreational watercraft that the rider sits on, or stands on, rather than riding inside of a boat. PWCs have an inboard engine fueled by a jet pump with an impeller to create thrust for propulsion and steering. Most are designed for two or three people. The United States Coast Guard defines a personal watercraft as a jet drive boat less than 13’ feet in length. ROTAX 4-TEC Engine: Each Sea-Doo watercraft comes equipped with a legendary Rotax 4-TEC engine specifically designed for marine use. Not only do riders get quicker acceleration and a higher top speed, Rotax engines also works hand in hand with iTC to provide more precise engine calibration. What this means is better fuel economy. S3 hull: Stepped, stable & strong. Our S³ Hull is the first and only one of its kind. Its stepped design reduces drag while staying glued to the water for a stable and consistent ride. The material of the S³ Hull is up to 20% lighter than competitors *, yet the hull remains incredibly strong, due to its ribbed construction. This means better handling and fuel efficiency. Seadooing: Riding a Sea-Doo on the water. Speed Based Ski Mode: This advanced iControl feature allows the driver to adjust the intensity of the launch for different rider skill levels and tow sports while maintaining a constant speed. There are 5 acceleration profiles for the best possible tow sports experience. Supercharged: Extra power. The engine artificially force feeds air into the engine increasing performance. Suspension (S): Adjustable Suspension: 5.5 inches (12.7 cm) of suspension manually adjustable with a regular wrench. Gives riders a smooth ride in all water conditions. T3 Hull: Innovative multi-staged design with extreme hard and soft chines. Allows for more precise cornering, enhances lean-in, cuts water and tracks better; extremely responsive. Touring or Sport mode: Offers a choice between two throttle responses for different riding styles. Touring mode is the default setting offering a more progressive acceleration curve for a more confident ride – ideal for cruising and 2-up riding. Sport mode can be easily activated using the Sport button. It provides all acceleration performance for a more aggressive throttle response. Trim Tabs: Limit bow rise and improve parallelism to water. Also increase tracking in rough water conditions. Tubing: The act of pulling an inflatable tube behind a personal watercraft or boat across a body of water. Wake: (Nautical Term) The waves or track left by a vessel or other object moving through water. Wake Boarders and Wake Skaters have made a sport out of riding the wake. Wake Boarding: A surface watersport, which involves riding a wakeboard over the surface of a body of water. It was developed from a combination of waterskiing, snowboarding and surfing. A wake board is buoyant and traditionally constructed of foam or honeycomb mixed with resin and coated with fiberglass. The rider is attached to the wake board with adjustable bindings. The rider is towed behind a motorized vehicle such as a Sea-Doo watercraft, a boat, winches or a closed-course cable system. Wake Skating: An adaptation of wakeboarding that uses a similar board design but the rider is not bound to the board in any way. The board is constructed of wood or fiberglass and covered with grip tape or a soft, high-traction foam, usually referred to as EVA foam. Here is a link to our instructional WAKE series on YouTube. Waterskiing: A sport in which a person is typically pulled behind a personal watercraft, boat or cable over a body of water. Did we miss anything? Let us know and we will continue to add to this list. Based on BRP internal testing. Traveling at 50 mph (80.47km/h). 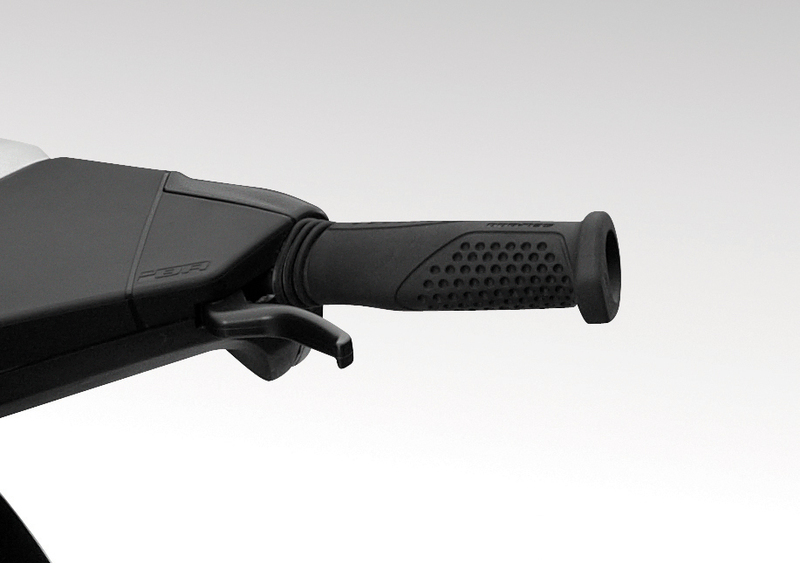 MUST HAVE OF THE MONTH: Sea-Doo Intelligent Brake and Reverse. Have you experienced our iBR? 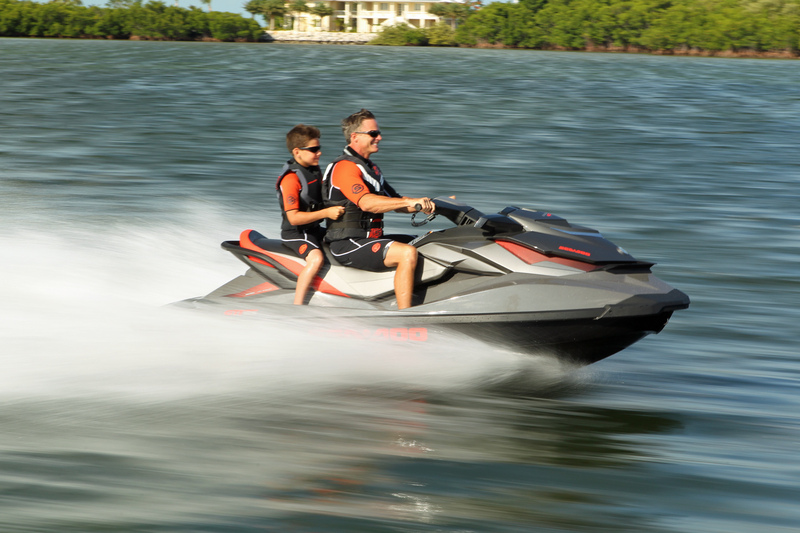 ONLY Sea-Doo watercraft come standard with a brake. Here is a short video that explains just how it works!